Baztech Full Height Turnstile - Baztech Incorporated (Pvt) Ltd.
For 100% reliable site access security then the full-height turnstile is the best choice. This device provides complete access control being a physical barrier. Authorized access is performed by means of Baztech biometric devices ,card readers, remote control or manually. The full-height turnstile is available in single or double modifications. The turnstile can be installed indoor and outdoor. The device design ensures uninterrupted operation for millions of passages. When barrier rods are placed at the angle of 120 degree, it is possible to arrange additional function "airlock": access is performed one by one and in this case reauthorization of each pedestrian is compulsory. Up to 20 pedestrians per minute can go through the turnstile in free access mode. 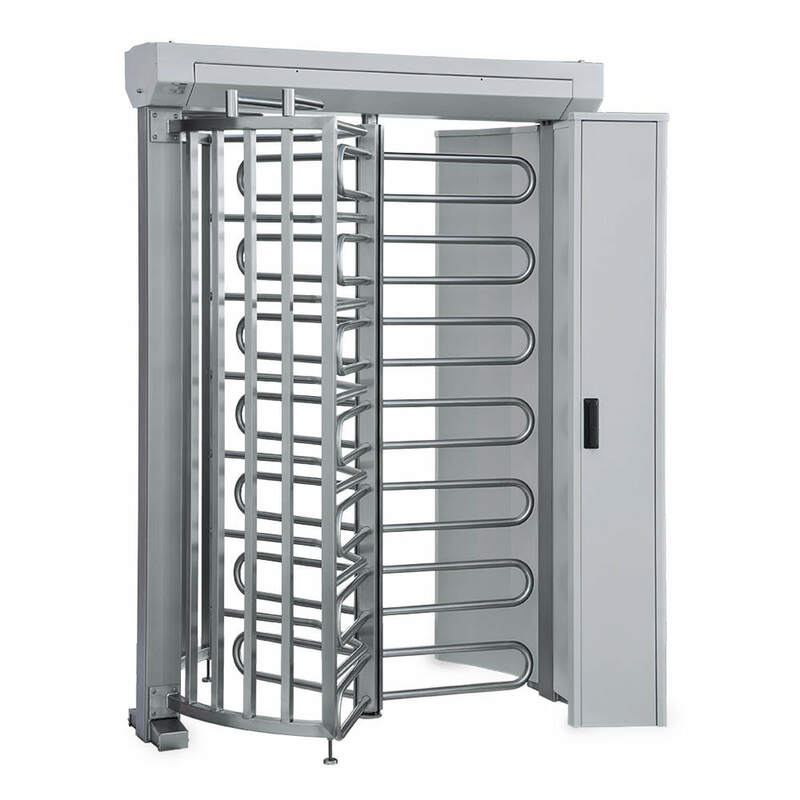 This full-height rotor turnstile can be procured in different configurations. A variety of colors and housing material options, angle of installation and shape of barrier rods, absence or presence of servo-actuator will enable you to find the optimal solution based on the task and the available budget. When power goes OFF both directions are closed. ·manual unlocking in case of unavailable power.